A version of this article originally ran on September 29, 2014, when Lin signed on to direct two episodes of True Detective. Now that he’s got that other space franchise to handle, J.J. Abrams is stepping away from directing the next Star Trek movie. 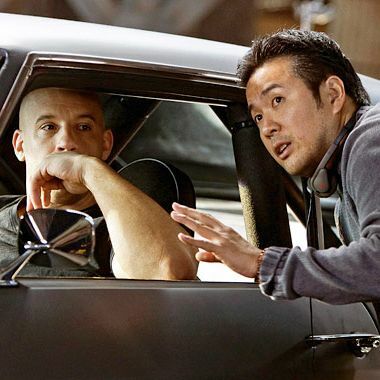 In his place will be Justin Lin, the man who turned the Fast and Furious franchise into the safe-robbing, plane-chasing juggernaut it is today. Even more so than Abrams’, Lin’s work so far has showcased his bold, hyperkinetic style — above all, he’s a director of motion. To get a sense of what you can expect from Star Trek 3, here’s a guide to Lin’s journey from microbudget indies to globe-spanning blockbusters. In his first solo feature, Lin brought every directorial trick in his arsenal. For the story of a group of Asian-American high-schoolers whose spotless résumés cover for increasingly dangerous criminal schemes, Lin combined hyperactive cutting, swirling wide-angle cinematography, and a knack for skewering stereotypes — the result was a $250,000 Sundance smash. All of a sudden, Lin had his big break. Under Lin’s stewardship, the Fast and Furious franchise transformed from a series of silly movies about cars that went fast when you pushed a button into a legitimate cultural force. He did this not only by upping the insanity of the series’ action scenes (and they got really insane), but also by emphasizing the emotional bonds that held together its multiracial criminal crew. “The franchise felt a little disposable,” Lin recalled. “But there was this potential: These great characters that we could explore, and their relationships with each other.” In other words, he gave the series a lore. Lin directed two other episodes of Community, but it’s his work on “Modern Warfare” that will make the first line of his obituary. (Like all web content, obits of the future will be written exclusively by and for Community fans.) “Modern Warfare” is an action-movie parody performed entirely with paintballs, and Lin’s swooping camera helps sell the concept, imitating blockbuster cinematography with loving precision. Lin didn’t return for any of Community’s later “event” episodes, but he set a mark the rest of them would have trouble reaching.